Supriya and I are heading over to Colours Dekor today. Colours Dekor is a blog by Patricia with contributions by Anpu and Rose. Here is what Patricia wrote about the blog "Colours Dekor is my space to share beautiful home ideas from my home and magazines that inspire me. I love colours and innovative ideas. I have a passion for interior designing & dekor, travel & art. I love colours". Patricia's blog has been around for a while now and it is a great space too offering creative inspirations, decor tips, gorgeous eyecandy and much more! Of course, we would not pass up an opportunity to author for Colours Dekor! Supriya and I were invited to do a feature on our personal decor styles. This was an easy assignment given our enthusiasm for all things design and decor! We got to work right away! We figured we would offer a post with a few corners from our homes and a few lines about our design sensibilities to encapsulate our personal design diction. My family room - teal wall, rustic furniture and some colorful accents for a global look! 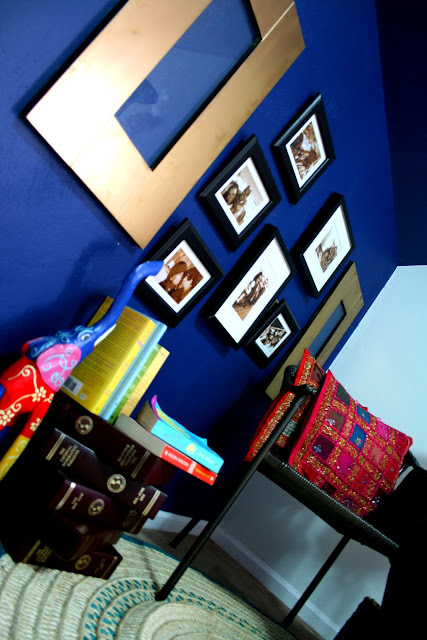 Supriya's living room - blue wall, colorful accents, black and white frames for a universal appeal! For more pictures (yes!) and the rest of this entry head over to Colours Dekor. Thank you Patricia for inviting us to write for your blog. Nayana : Thank you! We would love for you to come back :) Yup, that's what I learnt too - 150 bonsais!! isn't that great? Wow ! you have really great zeal of interior decor and designing. I would like to say that just go ahead because i think you will get success in your life definitely. jolene: Welcome to Aalayam and thank you for your kind words. 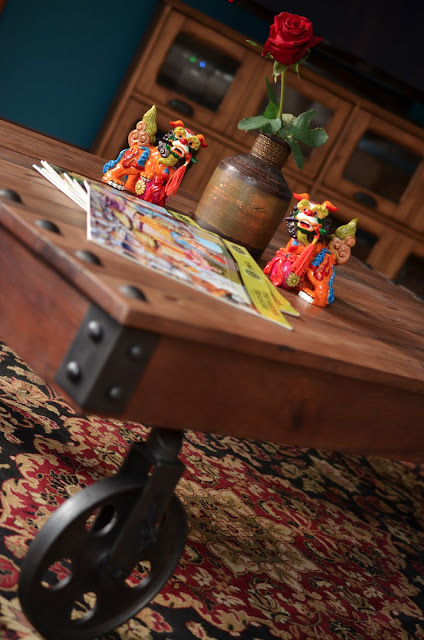 Decorating has evolved into a passion over the years and we love sharing our inspirations as well learning for others. The blog provides a great medium.